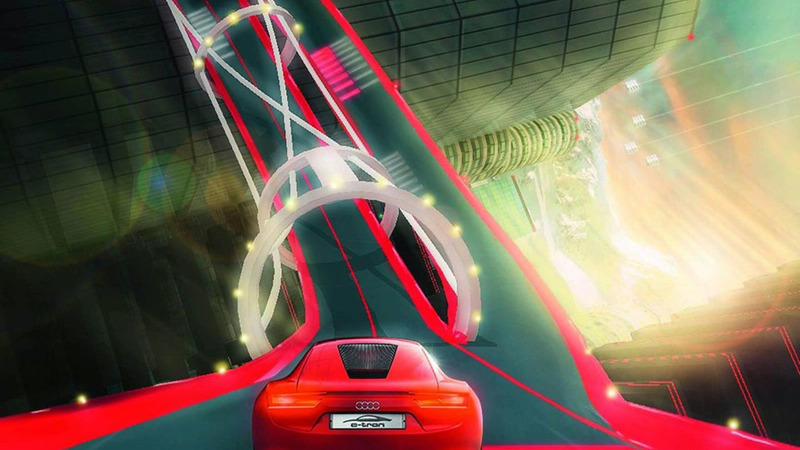 Sony PS3 owners have a chance to drive the new Audi R8 e-tron concept car in a new game called Vertical Run. The game will only play from the Audi Space, a virtual showroom created exclusively for the brand. "Most young people gain their first driving experience from video games," said Kai Mensing, who is responsible for video games and virtual worlds in Online Marketing at Audi. "With the Audi Space, we can bring this target group into contact with our brand in a highly emotion-packed and interactive environment, and demonstrate our ‘Vorsprung durch Technik' with the virtual e-tron race." With past generations of young people their first driving experience involved stealing the family car and probably crashing it somewhere. How times have changed. Audi Space and PlayStation Home (a 3D social gaming service for the PlayStation 3 community) will give youngsters - both in age and at heart - the chance to drive the new R8 e-tron concept car at home. Drivers will compete against one another in the Vertical Run driving game where each one has to collect enough electrical energy and minimise driving errors to reach the highest possible speed. "It was important to us to create an environment with Audi Space that differed from a classic showroom at an Audi dealership," said Mensing. "To achieve that, we got together with the architects at Allmann Sattler Wappner and developed an interactive concept where the focus is on selected Audi models, making it possible to experience the brand in a selective, interactive way." The e-tron was unveiled at the 2009 IAA as a concept car. It is powered by four electric motors within all four wheels and has a total system output of 230kW (313hp) as well as a mammoth torque figure of 4,500Nm. Vertical Run will be available to download for free into PS3 consoles with PlayStation Home this December.